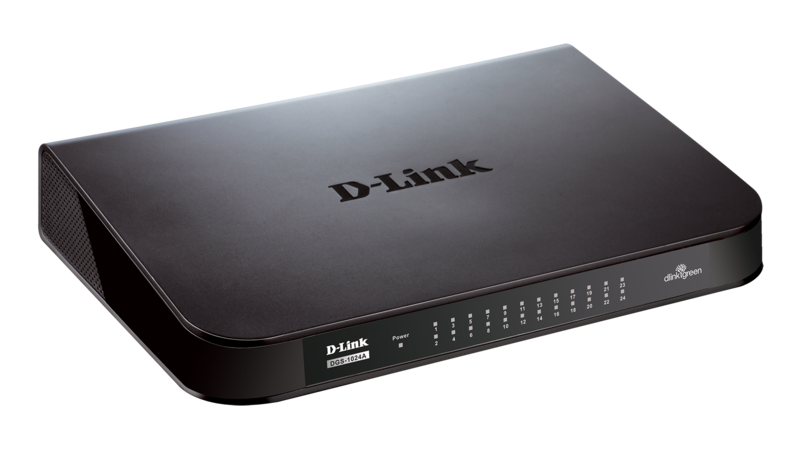 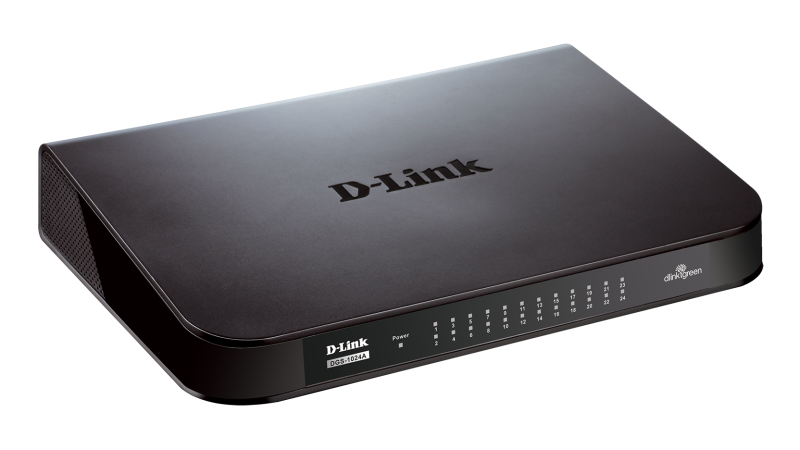 The sleek plastic case of the DGS-1024A series is an industry first for a Gigabit SOHO/SMB switch. 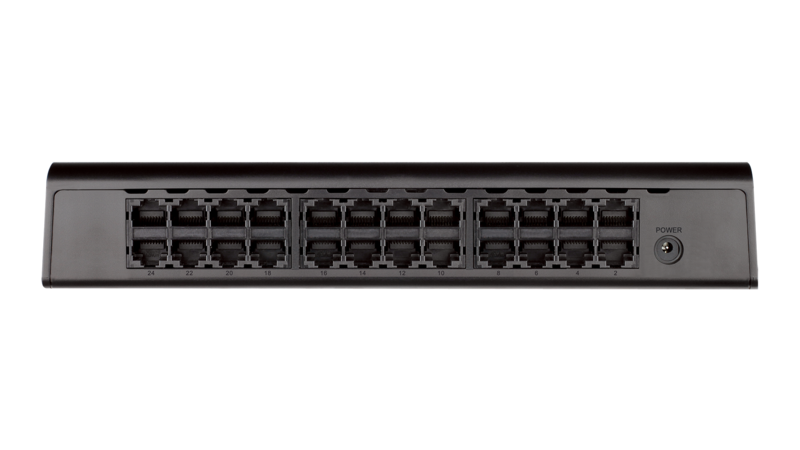 Using a compact desktop style helps reduce heat levels and allow for a fanless design, making the switches silent, as well as economical. 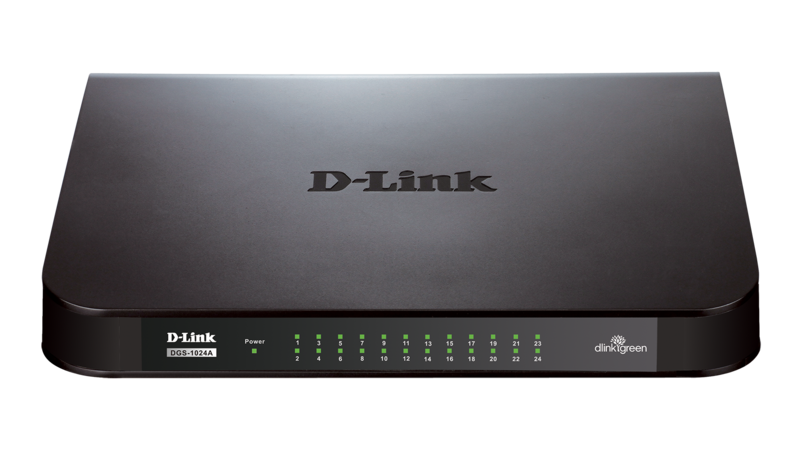 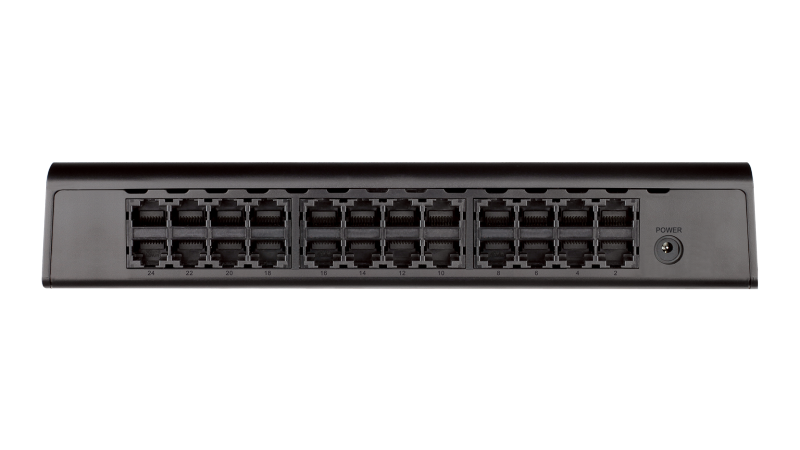 The 24-Port Unmanaged Gigabit Switch series is small, lightweight, wall-mountable, and ideal for any business with big needs and a small budget.